What is it about Swedish pop that makes it so successful? In part it's their irrepressible talent for melody writing and infectious rhythms, but it also strikes the balance between happy and sad, light and shade. It's a trick that Robyn has mastered with her melancholic disco (particularly on Dancing On My Own) and since repeated by multiple Swedish artists. This year alone, Tove Lo released an EP of uptempo electro tinged with brutal honesty, whilst I Break Horses named their second album 'Chiaroscuro'. 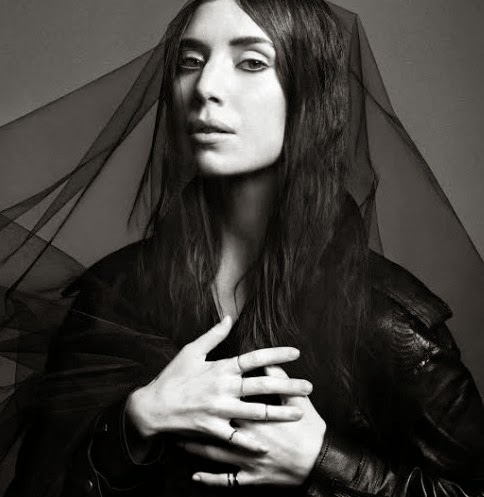 It's a notion that continues with Lykke Li's 'I Never Learn'. Though utterly contrasting in sound to those other artists, this break-up album is ultimately one of hope, ensuring that as a whole it's never unbearably melancholic. You'd be hard-pressed to find a more startlingly emotional album this year. As with her previous material, Li's is a uniquely Swedish indie-folk sound. Strummed guitars, glorious strings and heavy percussive beats accompany her mellifluous vocals drenched in reverb. It's also clearly a pop album - tracks like Just Like A Dream, Silverline, and Never Gonna Love Again are filled with memorable hooks. Yet there's a level of restraint here, the songs never straying into overblown bombast - despite the sometimes soaring production, they remain intimate and uplifting. Rather than the tribal anger of previous album 'Wounded Rhymes', this is a more introverted and tearful collection of songs. Being the third album in a conceptual trilogy, 'I Never Learn' demands to be heard as a whole. From start to finish Li is living and breathing this break-up through music and we're with her every step of the way. The opening title track introduces us to Li's brutal and helpless self-deprecation that continues with No Rest For The Wicked, whilst the delicate harmonies of Silverline bleed into Gunshot and its wounding depiction of lost love. At the album's core is Love Me Like I'm Not Made Of Stone, an almost impossibly beautiful acoustic ballad. When her voice catches at the start of the final chorus, her raw outpouring of emotion is as tangible as ever. Album closer Sleeping Alone leaves the album hanging with its questioning, open-ended tone. "How can I forget you?" she asks, "will I get used to sleeping alone?" You can't help but picture the pain of writing this album, undoubtedly musical catharsis. Yet when it seems all hope is lost, there's something reassuring about her honesty. You might be listening hiding under the blankets in a quiet corner, but the songs of 'I Never Learn' give comfort in knowing you're not alone. Listen: 'I Never Learn's is released on May 5th.